Our team consists of the most compassionate, dedicated, highly educated and professional team members in the region. We believe in a high level of teamwork and professional development and support this concept through initiatives like our own Baue University which provides continuing comprehensive onsite training. Baue employees value our community, and many of our team members are active in St. Charles organizations such as Rotary, the EDC, The St. Charles County Community Council, local Chambers of Commerce and Churches. Every year we participate in ringing the bell for the Salvation Army as well as holding toy and food drives. Often you will see us at parades and charitable events around our town. Each staff member is as strongly committed to each other, as we are to the families we serve. When Lisa Baue was a little girl, dancing with her feet on top of her father’s, as little girls like to do, she never dreamed that one day she’d be asked to fill his very big shoes. When her father died unexpectedly in 1987, though, that’s exactly what she needed to do. 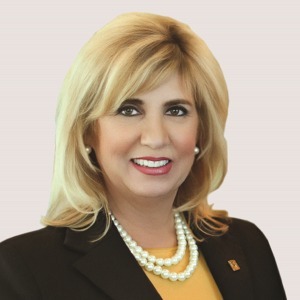 Just eight years after she joined the family business, Lisa stepped up as the Owner, President and Chief Executive Officer of Baue Funeral Homes, Crematory, and Cemetery, and her leadership has ushered in a new era of life-honoring tradition and compassionate support. Baue has always been a family business. Founded in 1935 by Lisa’s grandfather, Arthur C. Baue, and continued under her father, David C. Baue, it’s still family owned and operated. Today, the business has a team of close to 100 staff, including Lisa, her son, John Baue Devaney, and her brother, Paul Baue. 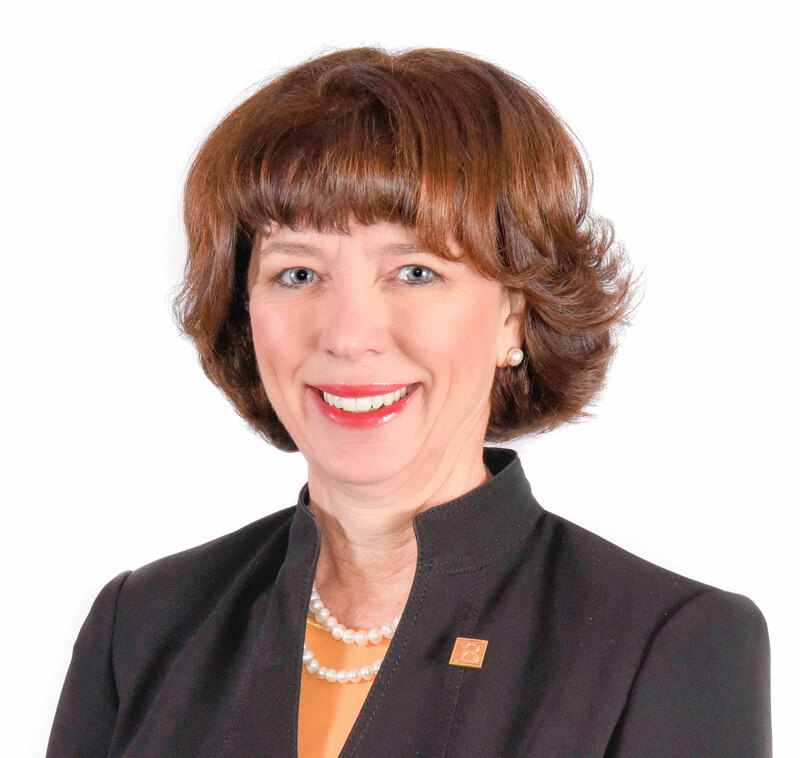 Under Lisa’s leadership, Baue has grown from one funeral home to three beautiful locations, offering a wide range of unique services, from cemetery and preplanning services to grief counseling and pet memorialization. Lisa and her team constantly strive to provide new and meaningful services to meet the growing and diverse needs of their community, through care that is not only compassionate but also comprehensive. Ultimately Lisa Baue is a home town girl, who graduated in 1974 from St. Charles High School and went on to receive a Bachelor of Arts degree from the University of Missouri, Columbia. 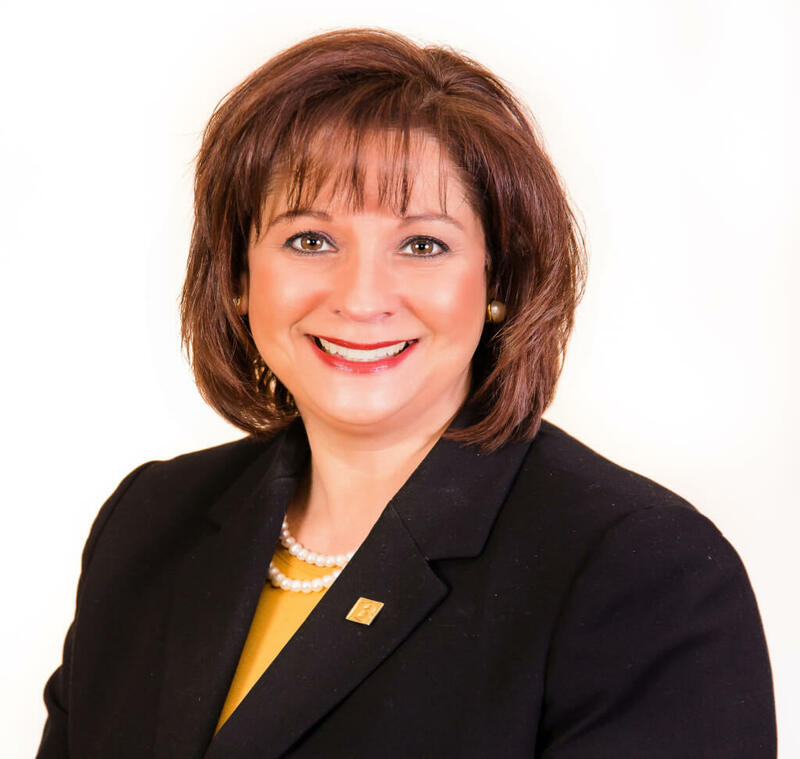 She then graduated from the National Foundation of Funeral Service Management School in Evanston, IL, where she served as a member of their board of directors and an instructor of its Management School for many years. 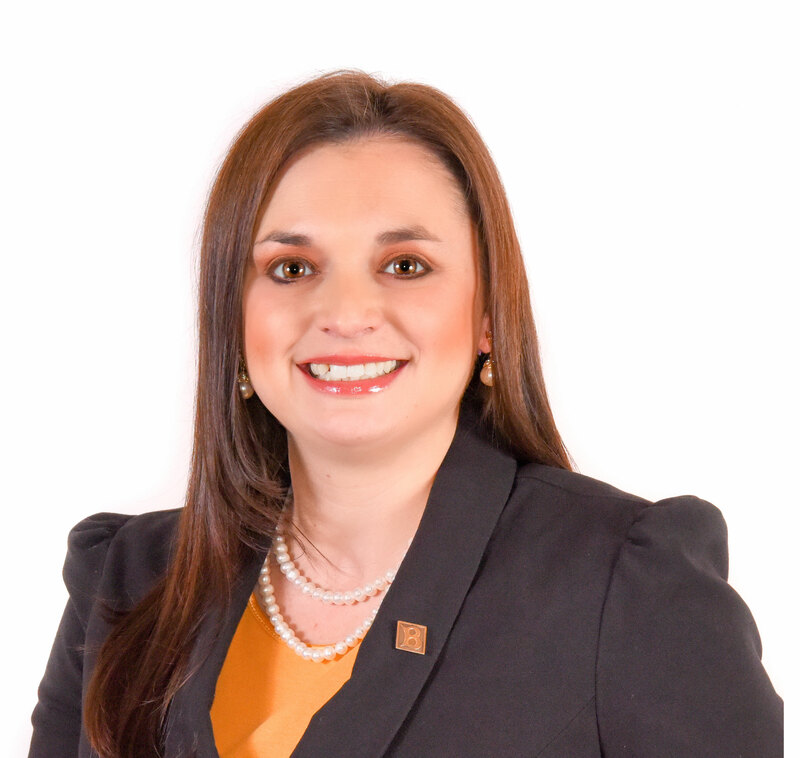 She’s a natural leader, who not only steers the Baue team but is also a nationally recognized speaker in her profession, conducting educational programs and training to funeral service professionals. Lisa is passionate about giving back to her community. 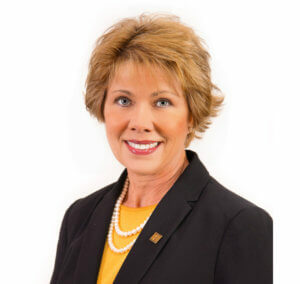 Over the years, she has served on numerous community boards and is a current member of Selected Independent Funeral Homes Board of Directors, a member of Hope Lutheran Church Parish Council, the Rotary Club of St Charles and the Partners for Progress organization. 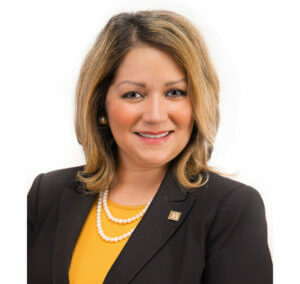 She has been involved in organizations as diverse as the St. Charles Crime Stoppers Program, the St. Charles County Salvation Army Council and the Economic Development Council of St. Charles County. In addition her volunteering for these community groups, Lisa is a certified Stephen Leader, and she has worked as a volunteer mentoring others who support and care for people going through difficult times in their lives. The strength of the Baue family bond is apparent in the unity of the Baue team, and the care they show to the community. The Baue staff consists of the most compassionate, dedicated, highly educated and professional team members in the region. They believe in “giving back” to the community they serve and under Lisa’s leadership, they Volunteer 100’s of hours for local charities in St. Charles County and the surrounding region. Lisa still makes time for family. She lives in the City of St. Charles, with her husband Monte Crabbs, their Golden Retriever, Lucy and Yellow Lab, Duncan. She is a life-long lover of animals and the outdoors, and her personal interests include, fishing, gardening, horseback riding, water sports, and snow skiing. Her family includes her son John, daughter-in-law Emily and grandson Jaxon, who live in St. Charles. Her daughter, Erin is an event planner in Chicago. Her brother Paul one the managers at Baue lives in St. Charles with his wife Amy and son Mason, her brother Mark resides in Fairfax, California. 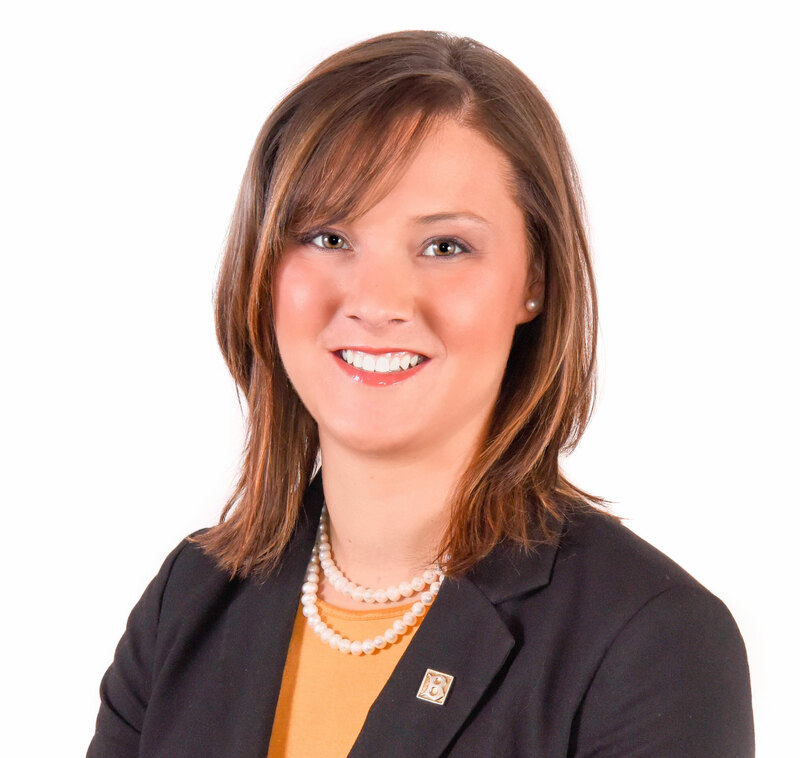 Courtney Molloy has been a licensed Funeral Director at Baue Funeral Homes since 2013. She grew up in small town Salmon, Idaho and moved to attend Southern Illinois University Carbondale. She completed her Bachelor of Science in Mortuary Science and Funeral Service, with a minor in Sociology in 2010. While in college she met Eli Molloy, a civil engineer, they married in 2014. They do not have any children, yet, but have beautiful Australian Shepherd, Cooper. They are members of St. Francis Xavier Catholic Church and enjoy spending time outside running, watching sporting events, especially bicycle racing, and exploring area parks. They take every opportunity they can to explore new places and try new things. Courtney’s calling to funeral service came with the sudden death of her younger brother when she was 17. 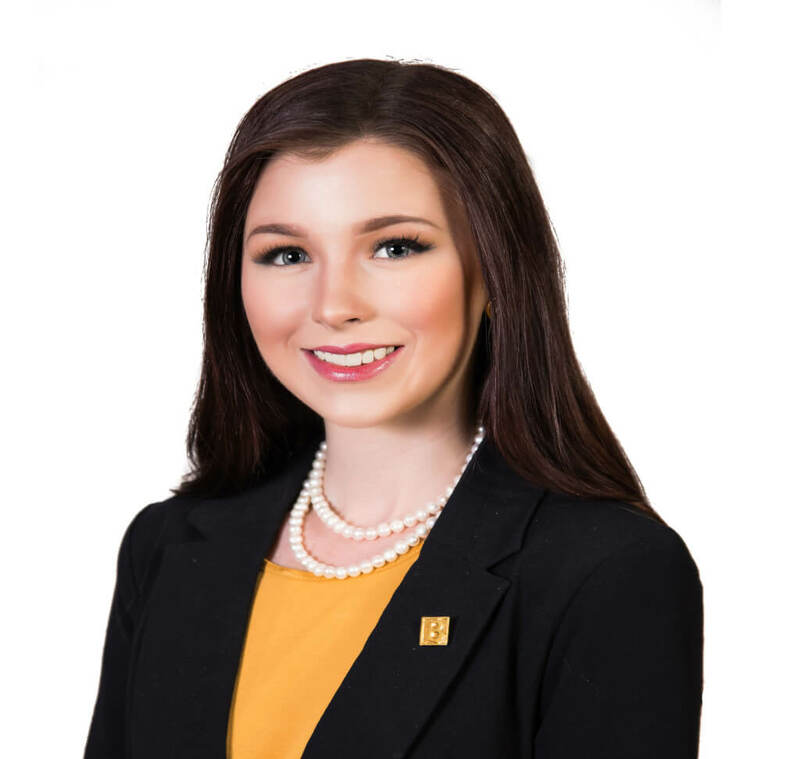 She began learning all aspects of the funeral service business as a junior in high school and continued to seek opportunities to learn wherever and whenever she could. As a funeral director, she sees her career as a ministry and opportunity to comfort, provide guidance and peace of mind to families at a very difficult time. John grew up in St. Charles, Missouri, and still lives there today with his wife, Emily, his two sons, Jaxon and Evan, and their dog Player. In his spare time, John enjoys participating in sports such as golf, water and snow skiing, wakeboarding, snowboarding, and sand volleyball. He is on the board of Crime Stoppers, is an Advisory Board Member for the Salvation Army, and a member of the St. Charles Rotary. Helping people through one of the most difficult times of their life is the reason John chose a career in funeral service. He feels helping families plan meaningful services through their various stages of grief is very humbling. Melanie Horton is a licensed Funeral Director at Baue Funeral Homes. She is passionate about service families during their time of grief and enjoys building lasting relationships with the families she serves. She was born and raised in Winfield, Kansas, and lived in Overland, Kansas with attending mortuary school. She graduated in 2004 and moved to St. Charles, Missouri in 2007. Melanie now resides in O’Fallon, Missouri with her husband and daughter. She spends most of her free time with her family, attending St. Cletus Catholic Church in St. Charles, and serving on the board for the SHARE Organization. She is also a member of the St. Louis Police Wives Association and a member of the Missouri Auxiliary Wives Behind the Badge. Melanie’s passion in serving others has lead her down the road to become a funeral director. She serves families with compassion and dignity as she walks with them through the darkest days of their lives. As a caregiver by nature, she finds great satisfaction in seeing others have more meaningful death experiences because of her efforts. 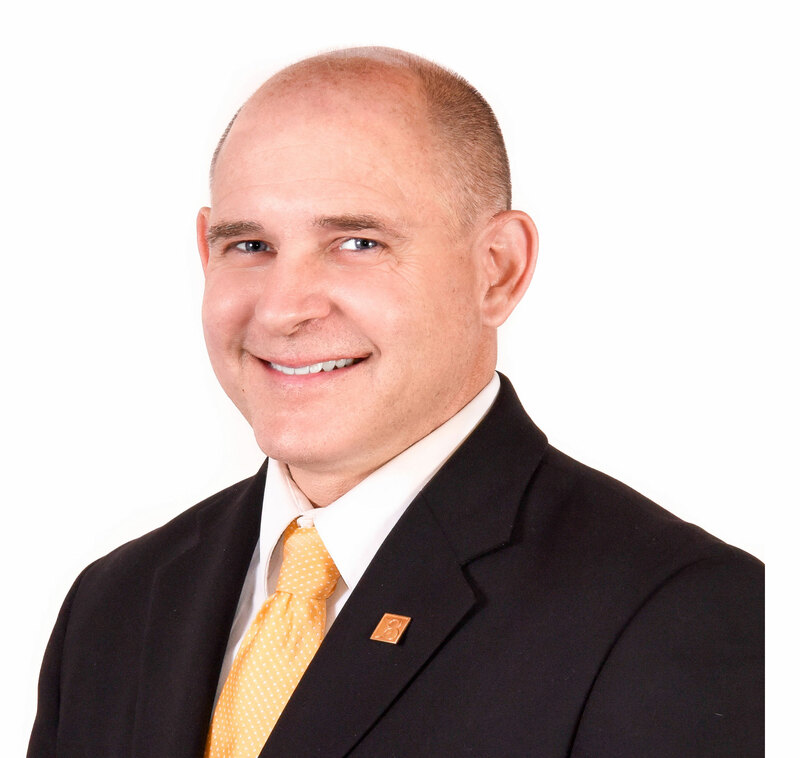 Milton Schaper is a Licensed Funeral Director with Baue Funeral Homes in St. Charles, Missouri. His life is a potpourri of experiences. He began his professional life as a minister, pastoring three churches over the course of 13 years. After the sudden death of his parents, he moved his family back to his hometown of Troy, Missouri, and became a music teacher. Due in part to the loss of his parents, he was also drawn into funeral work at the same time; beginning in 2006. He appreciates the opportunity to serve families at a time when they need compassion the most. Milton is a graduate of the University of Arkansas with a Master of Arts. He and his wife Donna have a son and two daughters. He is a musician and Sunday school teacher at his church, a member of a local political club, and a member of the Lincoln County Historical Society. In his personal time, Milton enjoys spending time with his family and puttering around on his nine-acre parcel of the Schaper family centennial farm. He also enjoys reading historical fiction and nonfiction. Neva Rankin, a Funeral Director, has been licensed since 1975. She has been compassionately serving families at the Baue Funeral Homes since 1995. Neva grew up in Troy, Missouri where she met the love of her life, her husband, Pat Rankin. 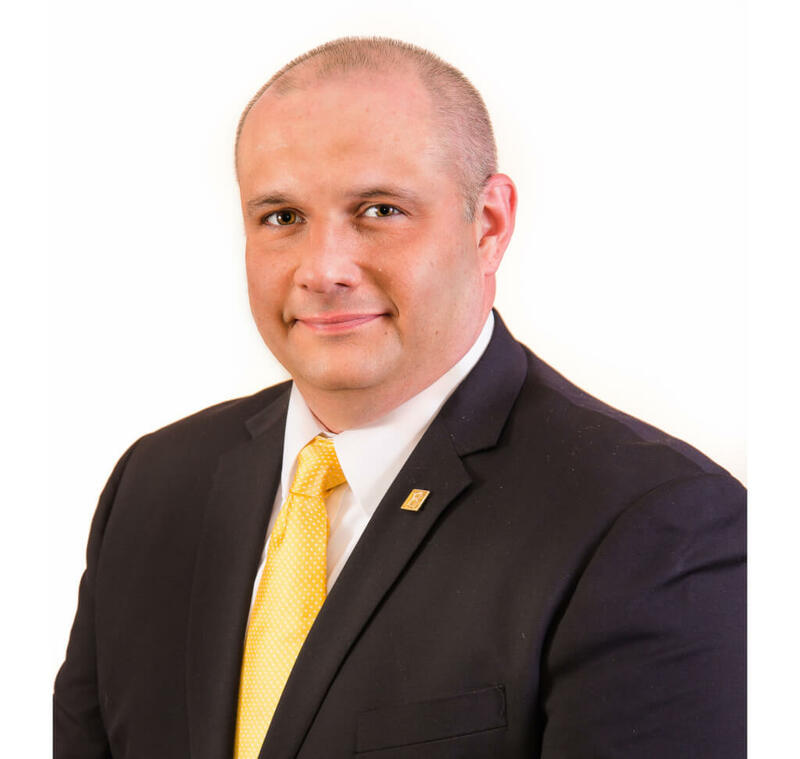 He too is a Licensed Funeral Director and Embalmer at Baue Funeral Homes who is currently serving as the on-staff Certified Celebrant. After their marriage, they made their home in St Charles County. Neva has lived and served in the Wentzville community for over 41 years. During this time, she has founded the Wentzville Sea Dragon Swim Team, she served 4 terms as the Wentzville City Collector and has been extremely active in numerous organizations along with being a member on many boards. Neva is an active member of St Theodore Catholic Church in Flint Hill, Missouri. She has been the recipient of awards such as the annual Wentzville-Lake Saint Louis Chamber of Commerce Volunteer Service Award, and was honored and received the ‘Evangelizer of the Year.’ She continues to serve her community in many areas in order to ‘give back to society’. Neva’s greatest accomplishment is being the mother of three beautiful grown daughters, Heather, Holly, and Heidi, along with their husbands, and her 11 Grandchildren; they are the joy of her life. Working as a Funeral Director, Neva feels she has been blessed with an opportunity to serve family, friends, and community when they have lost a loved one. She can share her gift of compassion through her work offering personal services for the grieving families that have suffered a death and touch their hearts in a time of need. Patrick (Pat) Rankin is our Service Celebrant, has been a Missouri State Licensed Embalmer and Funeral Director since 1972. He has been serving families with compassion and dignity at the Baue Funeral Homes since 1982. He grew up in the communities of Des Peres and St. Clair, Missouri. At a young age, Pat discovered that serving families in the funeral profession were a passion of his and in 1970, Pat graduated from the Kentucky School of Mortuary Science, Louisville, Kentucky. Pat assists families in helping them to create a service that is personal, and meaningful in order to celebrate their loved one’s life. He feels blessed to have met many wonderful families and through them, have been introduced to their precious loved ones, who are the true gifts in their lives. Pat feels it’s so humbling to be able to walk with all of the families in their journey of grief. Pat and his wife, Neva who also works as a Licensed Funeral Director for Baue Funeral Homes have been married since 1972 and are blessed with three beautiful daughters and eleven Grandchildren. They now reside in rural Lincoln County Missouri. In his spare time, Pat and his wife enjoy giving back to their community and are devoted to their Catholic faith. In 2002 Pat became an ordained Catholic clergy and carries the title of Deacon at the Parish of St. Theodore in Flint Hill, Missouri. 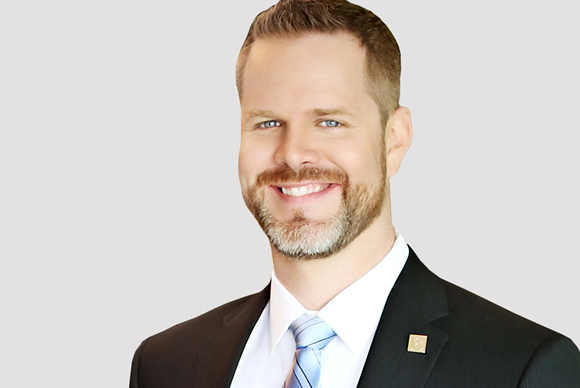 D. Paul Baue is a Licensed Funeral Director and Manager for Baue Funeral Homes. He worked at Baue from 1996 – 2005 and returned in 2013. He was born and raised in St. Charles, Missouri and attended Southern Illinois University Carbondale. 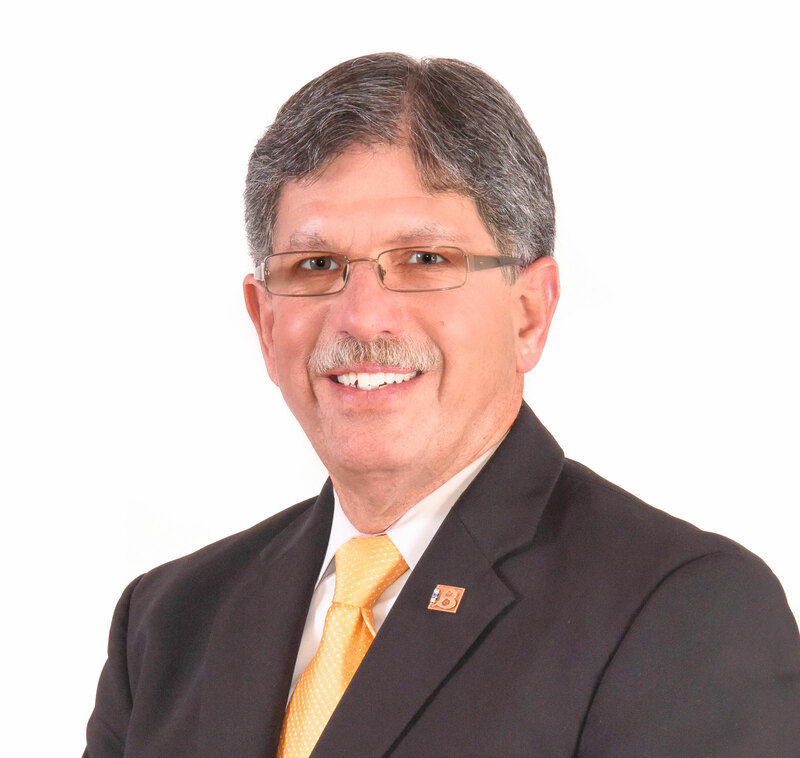 As a child, Paul remembers working many summers at St. Charles Memorial Gardens and joined the funeral service because of his lifelong pride in the quality of service that Baue Funeral Homes represents. He finds it rewarding to give a family the best possible care at one of their most difficult times of life. Paul is honored to have the opportunity to create meaningful services that honor a person’s life. Paul is a loving father to Shyla, Savannah, and Mason, and loving husband to his wife, Amy. He also has a dog, Zackly and two cats, Max and Birdie. In his spare time, Paul enjoys tennis, fitness, mountain biking, fly fishing, and spending quality time with his family. He is also a member of the Living Lord Lutheran Church and a board member of the St. Charles YMCA. Stefanie Helfer has been a Licensed Funeral Director at Baue Funeral Homes since March 2010. She was born and raised in St. Charles, Missouri and attended college at Lindenwood University where she received a Bachelors in Gerontology and Masters in Professional Counseling. She has two brothers, two sisters, and a cat named Mouse. She is a member of St. Louis Family Church and a Lindenwood Alumna. In Stefanie’s spare time, she enjoys volunteering at her church, reading, baking and decorating desserts, and spending time with her family. Stefanie began her journey working in hospice caring for families in bereavement, before receiving an apprenticeship through Baue Funeral Homes. She enjoys helping families and caring for her community. For Stefanie, caring for individuals and families through their time of loss, and being there for them every step of the way is what inspires her to serve families. Todd Deibert is a Licensed Funeral Director and Embalmer. He received training at the Worsham College of Mortuary Science and began his career in funeral services in his hometown of Mt. Pulaski, Illinois in 2002 where he learned the importance of funeral service. 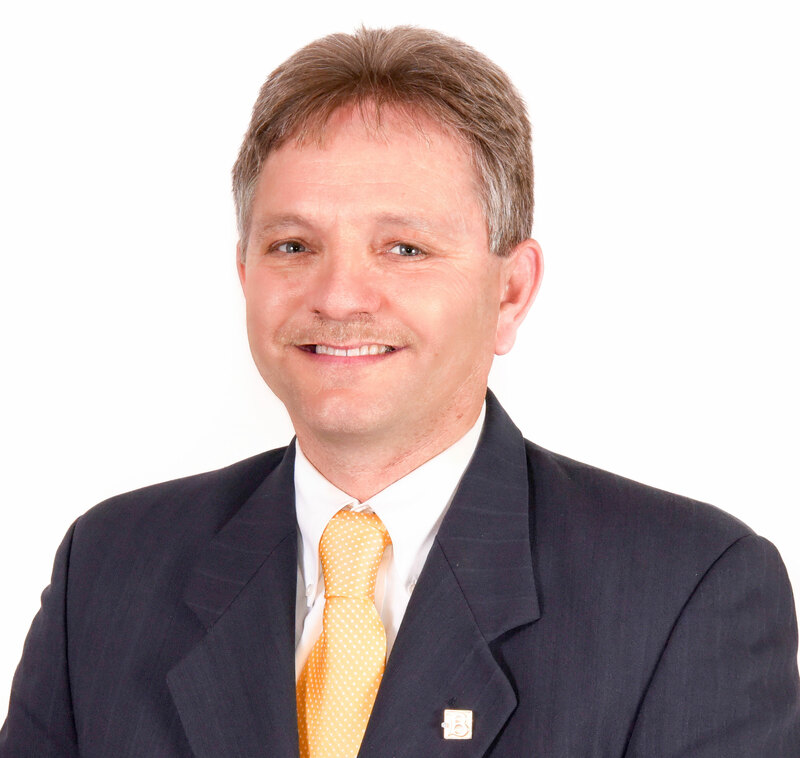 Todd has been a Licensed Funeral Director and Manager for Baue Funeral Homes since October 2010. Todd has always had a passion to help others when they are going through a difficult time or loss. It gives him a great sense of honor and privilege as well as fulfillment to be a light for those who are going through a dark time or grieving a loss. He is an avid sports fan of the St. Louis Cardinals, St. Louis Blues, Missouri Tigers (football), and the Illinois Fighting Illini (basketball). In his spare time, he enjoys hiking, bike riding, and working in the yard or around his house. He and his wife Krystle married in 2007 and have a pet dog, Daisy. They are both active members of Harvester Christian Church were they lead a small bible study group. 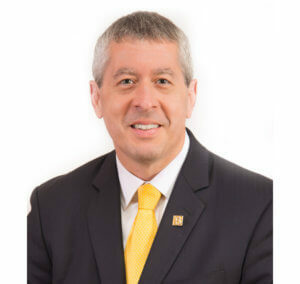 Todd is also a member of the Missouri Funeral Director Association and the National Funeral Director Association. Valerie Gabelmann has been a Licensed Funeral Director at Baue Funeral Homes since June 2005. She grew up in Affton, Illinois and studied at St. Louis Community College. She currently resides in O’Fallon, Missouri with her daughter, Alexis. They are members of Faith Church in Sunset Hills and Earth City. Valerie enjoys spending her spare time with family, going to the movies, exercising, and relaxing inside on a rainy day. Valerie is inspired to give more that 100% to every family she serves, and to be there for them during the most difficult time of their life. Honoring the lives of families loved ones drives Valerie to go above and beyond each day. 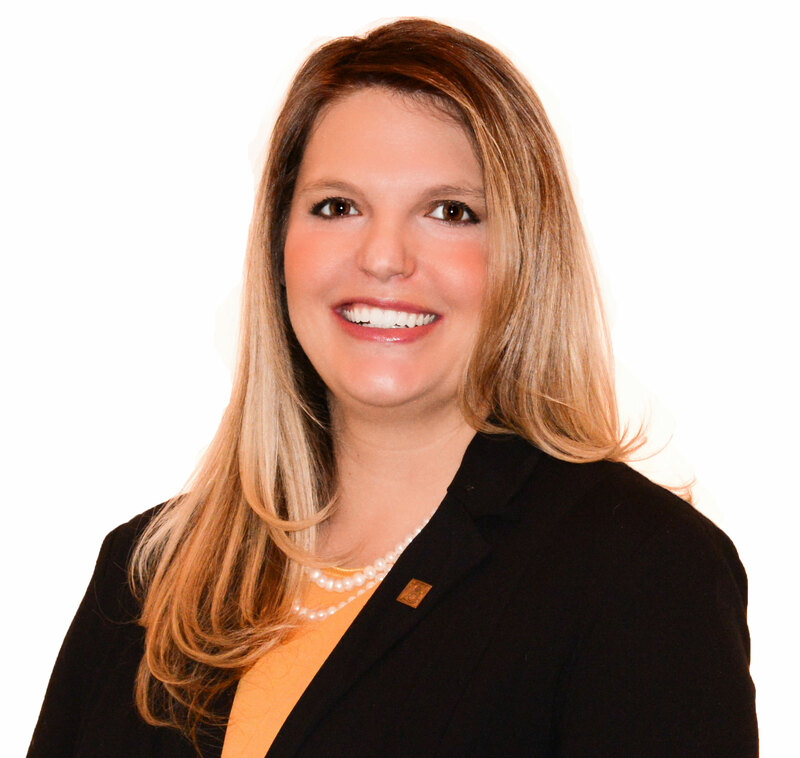 Amy Edmonds has been a Family Service Director for Baue Funeral Homes since October 2013. She grew up in St. Charles, Missouri, and later specialized as a system expert for Global Shared Service Centers in Holland. She currently resides in Foristell, Missouri with her husband, five children, two dogs, and a cat. Amy enjoys going to Church, watching her children play sports, and spending time with friends and family. She is a member of Element Church and a member of the O’Fallon Chamber. Amy chose funeral services because she finds real joy in life by serving others. ‘People should be respected and honored’ For Amy, she finds guiding families through the prearrangement process a true ministry. 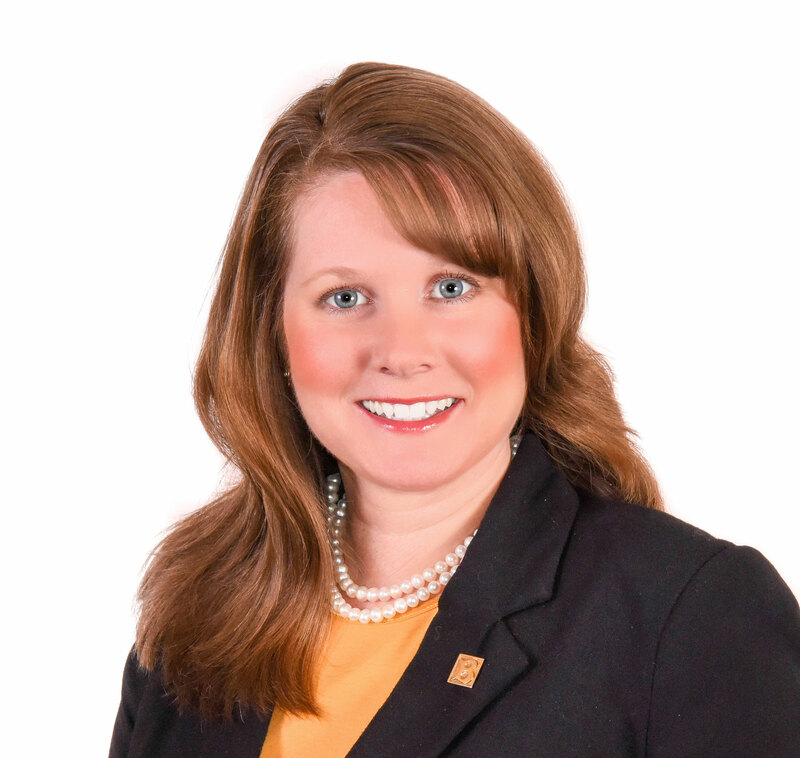 Becky Quinn began working as a Family Service Director for Baue Funeral Homes in June 2011. She is originally from Green Bay, Wisconsin and attended St. Mary’s School of Nursing and Meramec Community College. She and her husband John reside in Florissant, Missouri. Becky has two children, two step-children, and seven grandchildren. In her spare time, she enjoys spending her time outside camping, biking, and swimming. Becky helps families to arrange their funeral services in advance. She works terrifically with families and helps to relive the apprehension of planning for a future funeral need. 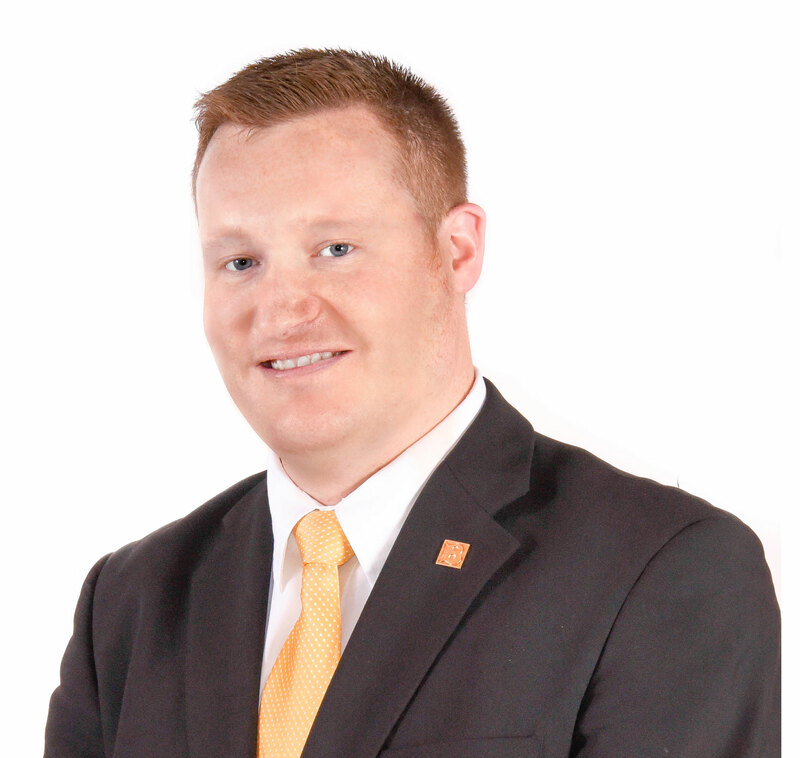 Jamie Fann has been a Funeral Service Director for Baue Funeral Homes since May 2010. She grew up in Waynesville, Missouri , and attended St. Charles Community College, University of Missouri St. Louis, and St. Louis Community College, Mortuary School. Jamie finds it rewarding to help families in their darkest hour. She is able to take away a portion of their pain and worries by genuinely caring about the family and their needs. In her spare time, Jamie enjoys spending time with her husband, their son, Dalton, and their two dogs, Pepper and Gus. Jamie also enjoys crafting and cooking at her home in St. Charles, Missouri. Kim Beckerman began working as a Family Service Director for Baue Funeral Homes in October 2009. She originally grew up in Florissant, Missouri and attended St. Louis Community College – Meramec, and Maryville University. She resides in St. Charles, Missouri, and has three beautiful daughters, Paige, Haley, and Julia who have grown into amazing women over the years. Kim has been widowed since 2003, and cares for her elderly parents that have been a great example of marriage to us all for over 60 years. She also has two laberdoodles, Wilson and Oliver. In her spare time, Kim enjoys walking, jogging, hiking, and reading her Catholic Faith Teachings, the Bible, and about History. She is a member of St. Joseph Catholic Church in Cottleville and is a Parish Council Member. Kim had a career in Architecture and Construction Project Management and was the President of an Electrical Contracting Company. However, in a time of need, Kim reached out for assistance with the grief group she organized at her church, and they led her to Baue Funeral Homes. It gives Kim a great sense of peace knowing that she is following in her faith and using her past experiences and trials to ease the grief families are feeling during their time of loss. 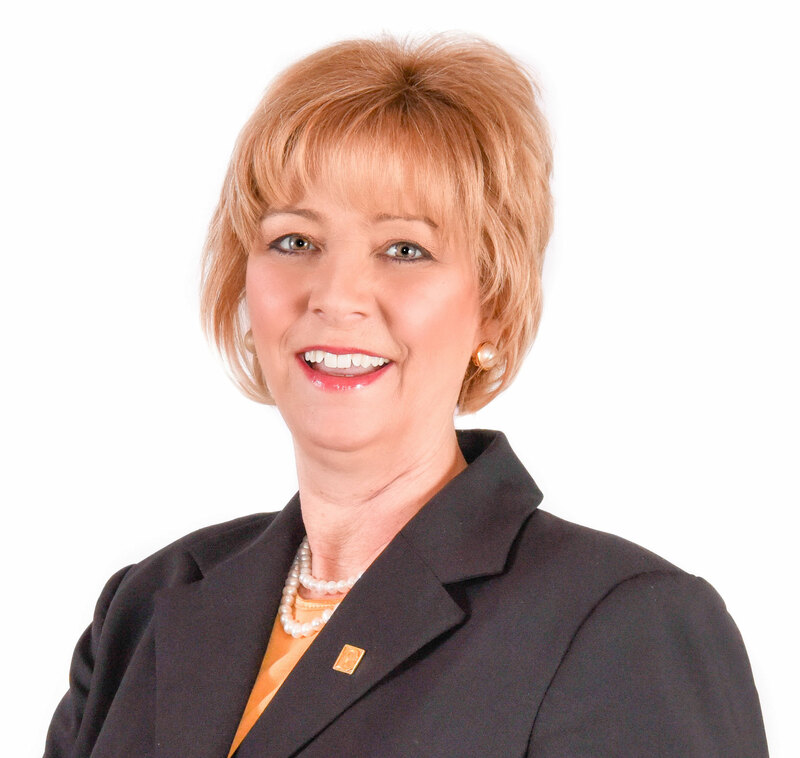 Sue Vincent has been a Family Service Director at Baue Funeral Homes since May 2008. She grew up in North St. Louis County and attended the University of Missouri. Now residing in Creve Coeur, Missouri she has two daughters, Michelle and Megan, a son Michael, two rescue dogs, Sophie and Bentley, and a rescue cat, Stripes. In Sue’s spare time, she enjoys gardening, decorating, cooking, painting, weight training, and Zumba dancing. She is also a member of the Incarnate Word Catholic Church in Chesterfield, occasionally fosters rescue dogs, and is part of a social Breakfast Club, and Bunco Group. Sue chose to work in funeral services because she enjoys helping people and turning what could be a very difficult and overwhelming situation into a very pleasant one. In Sue’s role, she meets with families before their need of a funeral. She finds it rewarding to hear from those she has met with that she has allowed them to have an incredible peace of mind. Knowing her families loved ones won’t be left to make a difficult decision at a time of loss allows Sue to strive each day. 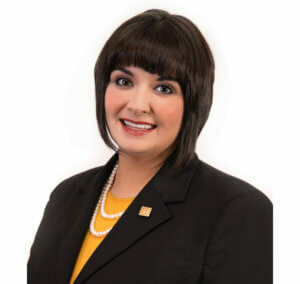 Jana Harper has been a Family Service Director for Baue Funeral Homes since August 2010. She grew up in Florissant, Missouri and attended Meramec Community College for Mortuary School. Today, Jana resides in O’Fallon, Missouri with her husband James and their four children, Shane, Tyler, Brooke, and Kristen, and their two dogs Heidi and Sam. In her spare time, Jana enjoys gardening, cooking, family time, and attending Outpost Church. Jana found funeral services to be a rewarding career choice when she started with Neptune Society in 2004. For Jana, it is fulfilling to help families navigate the unfamiliar territory of planning ahead for themselves or a loved one. 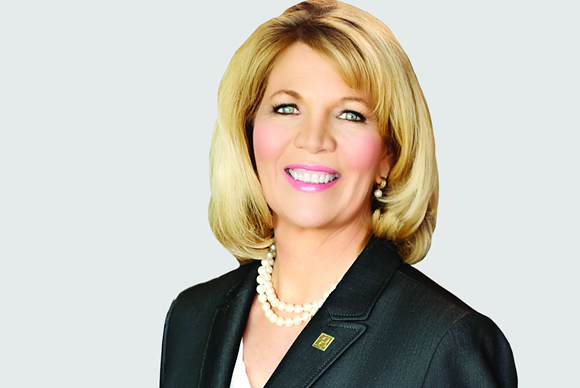 Pam Gehrs is the Chief Operating Officer, and has worked at Baue Funeral Homes since 2010. She grew in the small town on Ironton, Missouri located in the beautiful Arcadia Valley area. 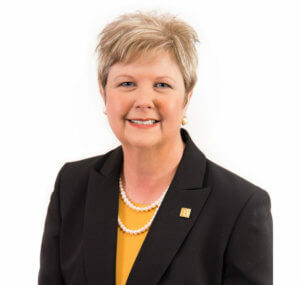 Pam started school at William Jewell College and graduated from Southeast Missouri University with a Bachelor’s of Science in Business Administration with a Degree in Marketing and Communications. She and her husband, Michael have been married since 1992 and have three handsome sons. In her spare time, Pam enjoys the sunshine and outdoor activities including watching her sons play sports and visiting the beach. She is an active member of St. John’s Lutheran Church in Ellisville, Missouri and enjoys spending time with her family worshiping and filling her spiritual bucket with activities and learning. For Pam, realizing she could make a difference and help others while working in a compassionate field is what led her to do the work she does. She believes it is an honor to be able to help others find ways to memorialize and honor their loved ones in meaningful ways. 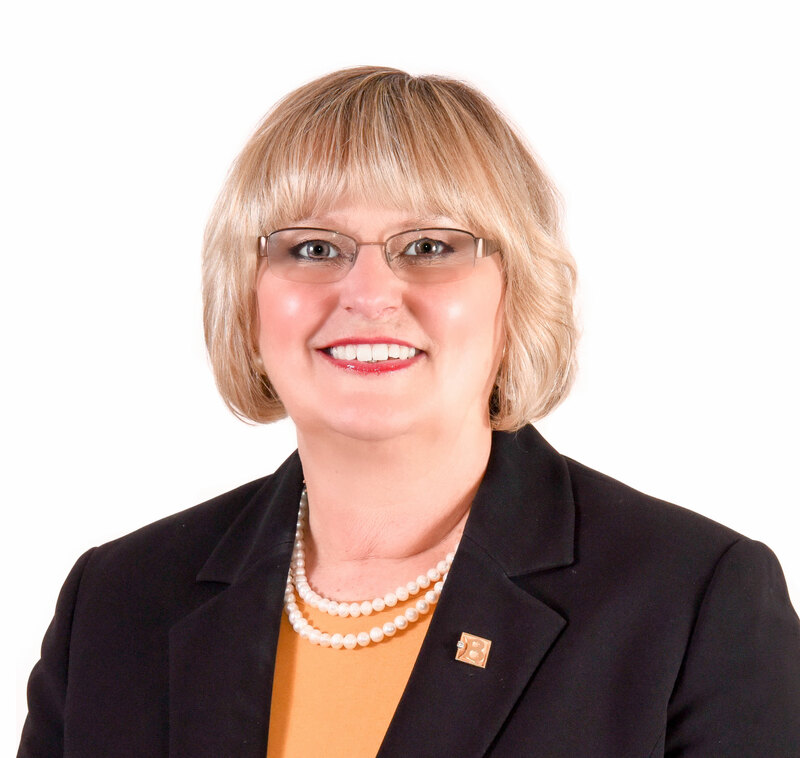 Brenda Suit, the Chief Financial Officer of Baue Funeral Homes since August 2014 grew up in the small farming community of Montezuma, Iowa. 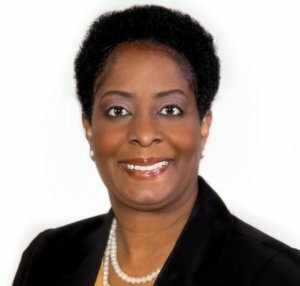 Brenda attended Truman University, the University of Houston, and Lindenwood University where she completed her Master’s in Business. Brenda has two beautiful daughters, Nicole and Angela, and she and her husband, Alan have lived in the St. Charles community since 1990. In her spare time, Brenda enjoys a spending time with her family and participating in a multitude of outdoor recreational sports including golf, biking, walking, and tennis. She is a member of USTA Tennis Team, the World Tennis Team, and regularly attends Immanuel Lutheran of St. Charles, and the Joy in Morning Bible Study. 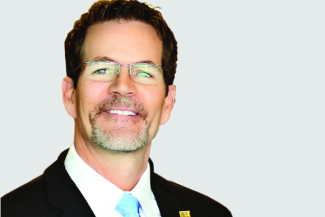 Greg Fuller has been the superintendent of Baue funeral homes and St. Charles Memorial Gardens since November 1998. He has lived in St. Charles since 1970, prior to that he lived in Detroit Michigan. 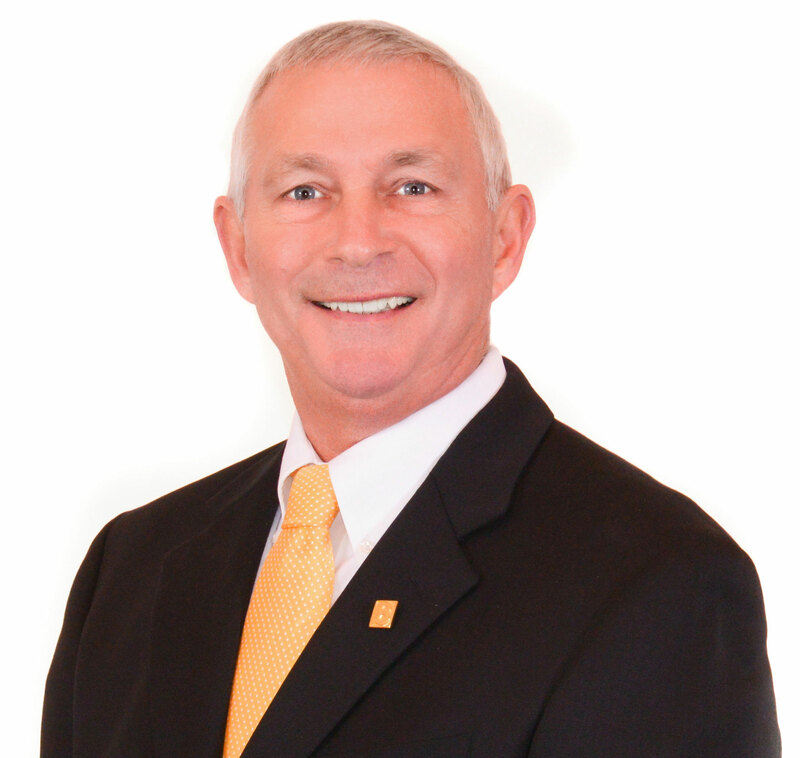 Greg began working at Laurel Hills and Lake Charles cemetery in 1980. In 1986 Greg began working at Bruns Norwalk Vault Company, and after 11 years decided to return to the cemeteries. As soon as he began at Baue he knew it was where he wanted to be; the compassion Baue has for their families and expectations of perfection made it a perfect fit for him. Greg has been married to his wife Tracey since 1987 and is the father of three boys; Chad, Dustin, and Zachary. Greg is also a grandfather to three beautiful grandchildren, Joshua, Bentley, and Isabella. Colby Hitchcock was born and raised in the Mississippi Delta area of Arkansas about 30 miles west of Memphis. A native Arkansan, he has always considered Memphis home. Upon graduating from High School he enlisted in the Navy in 1991 and served for over eight years aboard Submarines. He once, while at sea read a fiction book about a man who had a terminal illness. The main characters were the man, his wife, doctor, preacher, and funeral director. The story centered on the last days of his life. Colby thought that Funeral directors role was interesting and pursued a Mortuary Science Degree when he exited the Navy. Colby worked in Memphis until August of 2006. That is when he came to work at Baue Funeral Homes. Colby loves what he does for a living. If he can just make a difference in one person’s life, it is all worth it. In Colby’s free time he enjoys Hunting and small home projects. He has been in a relationship with a wonderful woman, for almost three years now. She has two children that he adores. Kelly Karavousanos, LPC, CT is the Director of Grief Services and The Center for Hope & Healing. She has been at Baue Funeral Homes since April 2003. Originally growing up in St. Charles, Missouri, she attending Lindenwood University, where she received a Bachelor’s degree in Psychology, and Masters in Counseling. The funeral service industry chose Kelly. Serving those who grieve gives her a great satisfaction to know that she makes a difference in the lives of people who are suffering. She provides families with education and hope, and this is very fulfilling for her. Kelly still resides in St. Charles, Missouri with her Fiancé Colby Hitchcock where she is the mother of two wonderful children, Melina and Rocco. She also has two cats, Mr. Bubbles and Snowflake. In her spare time, Kelly enjoys experimenting with photography, hiking and reading. She is a member of the American Counseling Association, Calvary Church, the Association of Death Education and Counseling, and the Athena Mentoring Program. Kelly is also on the board of the St. Charles Community Council Gateway Alliance for End-of-Life Care. Kristen Ernst, LPC is the Manager of Community Outreach, Grief Support and Center for Hope & Healing. Kristen has years of experience working with hospice patients and their families. She contributes as a specialist in grief support and bereavement as a facilitator and educator in the community. She continually works with survivors of childhood abuse and trauma, and is also dedicated to her work in suicide prevention and awareness. Kristen enjoys assisting in the development of people’s self-advocacy, coping with grief, and creating a safe and conducive environment for people to empower themselves for a better quality of life. 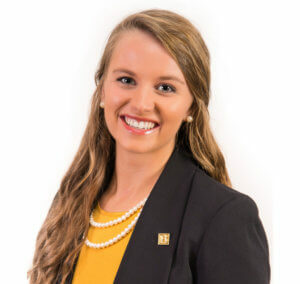 Kacie Derby is the Director of Community Events, and has worked at Baue Funeral Homes since August 2011. She grew up in O’Fallon, Missouri, and attended Missouri State University. Kacie now resides in St. Peters, Missouri where she and her husband, Chris are raising their beautiful daughter, Reagan. At Baue Funeral Homes, Kacie directs and oversees all of our grief programs, memorial events, and Silver & Gold 60+ Senior Club events. She is a member of Immaculate Conception Dardenne, O’Fallon Chamber of Commerce, Greater St. Charles County Chamber of Commerce, Cottleville-Weldon Springs Chamber of Commerce, Western St. Charles County Chamber of Commerce, Senior Service Resources, and the Community Council of St. Charles County. In Kacie’s spare time, she enjoys traveling and spending time with her family and friends. Brad Vickers is the Manager of Property and Grounds at Baue Funeral Homes and the St. Charles Memorial Gardens as of January 2015. He grew up on a farm in Vernon County, Missouri and moved to St Charles County in 1978. 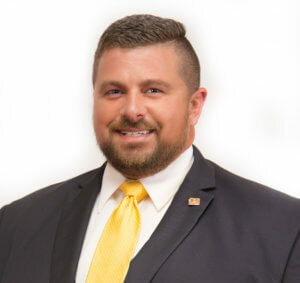 Brad chose to work with the Baue Team due to their excellent reputation of service to the Community. He is a father to three children and grandfather to five. He has lived in St Peters, Missouri since 1978 and is a member of Our Savior Lutheran Church. In Brad’s spare time, he enjoys spending time with his grandchildren, gardening, fishing, and hunting. Kim Brueck has been the Manager of Baue Pet Services since January 2015. She was raised in Florissant, Missouri and attended Meramec College and the Midwest Institute for Veterinary Technician. She has been married since June 2000 and has two beautiful daughters, Kayla and Mya. Kim’s love for animals dates back to when she was a child – she has had several dogs, cats, birds and a guinea pig throughout her lifetime. Today, Kim has three family dogs. In her spare time, Kim enjoys traveling, camping, and boating with her family. She is also a member of Element Church. Kim believes pets are like family and she enjoys helping families honor the life of their pet. ‘Everyone who experiences the loss of a deeply beloved animal deserves the same acknowledgment, loving support, and opportunities for compassion. Working together in the circle of people who deeply love animals, we can honor our animals who have died, while also honoring each other with effective, appropriate, and loving support.’ Kim understands that the grief we have for our pet deserves to be honored and supported with great love and tender compassion. Ally Walters is currently working towards her Funeral Director’s license and has just enrolled in the apprenticeship program. She has been with Baue since April 2016 and says she is lucky that funeral service found her. Ally was born and raised in St. Charles, attending Immanuel Lutheran school and church. Although she resides in Rock Hill, her family and heart are forever in St. Charles. Ally is involved in the Community Council and St. Charles, O’Fallon and Western Chamber of Commerce. She is a proud alumna of University of Missouri (Go MIZ!) where she was an active member of Alpha Delta Pi sorority. Ally’s undergraduate degree was in Communication, with an emphasis in both Human Development and Family Studies and Hospitality Management. She is enrolled in the Accelerated MBA program at Lindenwood University. In her free time, Ally enjoys yoga, being outdoors with her dog, watching football and participating in charitable 5K runs. Marie Deabler joined Baue Funeral Homes in May, 2016. She grew up in Portage des Sioux, MO and moved to St. Charles at age 16 and has been in St. Charles ever since. She graduated from Duchesne High School and got her Undergraduate and Master’s Degrees from Lindenwood University. She has been a member of St. Cletus parish for over 30 years. Marie is married to Gary, has two children Jen and Jason, two beautiful granddaughters Adriana and Savanna, and two dogs Bailey and Dakota. She enjoys motorcycle rides, golf, and doing home projects with Gary, spending time with her family, and working outside on the lawn and in her gardens. 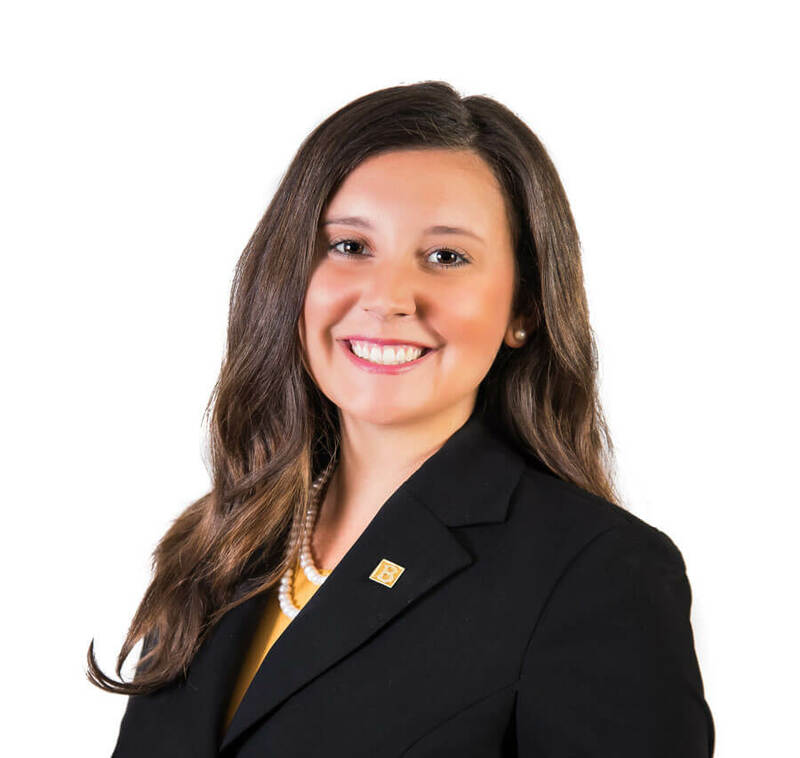 Alexis Mason has been a Licensed Funeral Director for Baue Funeral Homes since June, 2016. She began her journey in funeral service through a funeral home in her hometown of Hannibal, MO at the age of 16. Alexis attended Kansas City Kansas Community College and graduated from the Mortuary Science Program in 2013. She is the proud mother of two girls, Ellie and Harper. In her free time, Alexis enjoys hiking and crafts, particularly painting. Amy Beth Dormire has been a manager and a part of the care team at Baue Funeral Homes since June 2005. She is a graduate of the University of Southern Illinois – Carbondale and grew up in Columbus, Illinois. Amy Beth now lives in St. Charles with her husband Mark and her son Alden. She is a member of First Baptist Church of St. Charles. In her spare time Amy Beth enjoys running and knitting. Dustin Livengood has been a licensed funeral director at Baue Funeral Homes since November, 2016. He attended Lewis & Clark Community College and Worsham College of Mortuary Science. Dustin grew up in Alton, Illinois and now lives in St. Louis, Missouri with his wife, daughters, Lola and Eleanor, and his two dogs. In his spare time Dustin enjoys playing golf, attending St. Louis Blues Hockey games, and trivia. Dustin entered the funeral service industry because he wanted to make a difference in the lives of people. To Dustin serving those who are grieving is a tremendous responsibility. Megan Steward has been a funeral director and embalmer at Baue Funeral Homes since October 2016. She received her associates in Arts from Kaskaskia Community College, Centralia Illinois and her bachelors in mortuary science and funeral services from University of Southern Illinois – Carbondale. Megan grew up in Radom, Illinois and now lives in St. Charles, Missouri. In her spare time Megan enjoys reading, running, spending time with her niece, nephew and family. It is a rewarding feeling that Megan gets when helping a family through a difficult period in their life. Lila Rose Farnese started in funeral service in 2004 working as a cemetery director. 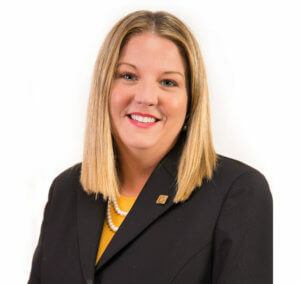 In 2012 she received her funeral director licenses and has been with Baue Funeral Homes since 2016. She grew up in St. Louis, Missouri. After living in Creve Coeur for 28 years she moved to St. Peters, Missouri in 2012. She has two sons, a Jack Russell named Sadie, and a Cat named Sammie. Lila is also a member of the Missouri Funeral Directors Association. In her spare time, she enjoys yoga, aerobics, reading, cooking and going to estate sales. 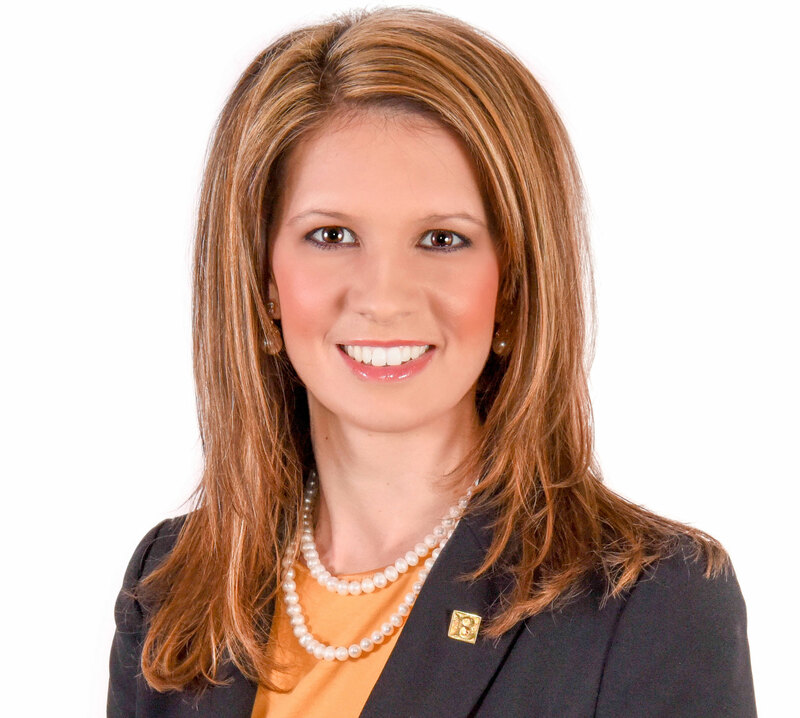 Maria T. Barrett is a Funeral Director at Baue Funeral Homes; she has been with us since September 2015. Maria grew up in Kirkwood, Missouri and moved to New Orleans, Louisiana in 1994. After Hurricane Katrina, she moved to Italy for 6 years before going back to New Orleans. She attended Loyola University, University of New Orleans, and Delgado Community College for Mortuary Science. She started in the funeral industry at Lake Lawn Metarie Funeral Home in 1998. Her love of cemeteries initially interested Maria in the funeral service industry also with an earnest need to help people through a difficult time. Maria has 5 children, Medea who is studying at LSU, Barrett, Giovanni, and Giuliana, and Massimo. She also has 3 cats, Gryffindor, Hufflepuff, and Poot. Maria is a member of St. Margaret of Scotland Church in St. Louis in the Shaw Neighborhood. In her free time, she enjoys reading, mostly classic novels.